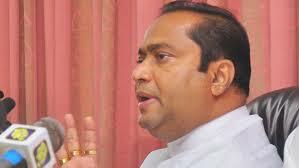 Western Province Chief Minister, Isura Devapriya, said the SLFP's May Day rally will be held in Getambe, Kandy with least inconvenience to the public. He added the arrangements are already being made to minimize the traffic jam that is likely to occur during the May Day rally and the alternative routes will be used if necessary. "Road closures will not take place except the lane of the road that will be occupied by the participants of the rally," he assured. The CM further stated President Maithripala Sirisena has advised the organizers of the SLFP May Day rally to give prominence to the working people rather than making it an individual political party's rally. "This May Day rally, in the full sense of the word, will be a rally of the working people," he stated adding that the party will be given least importance during the rally. The Chief Minister added the party had to face numerous challenges during the last May Day rally held in Galle. "We were afraid the rally would be unsuccessful due to unwholesome plans of a group of people that maliciously attempted to make the rally a failure," he said adding that a group of people had planned to boo the people who would attend the May Day rally in Galle. He further said that the third May Day rally of the SLFP under the leadership of Maithripala Sirisena will be an all-out success as the party had gradually gained strength over the years.